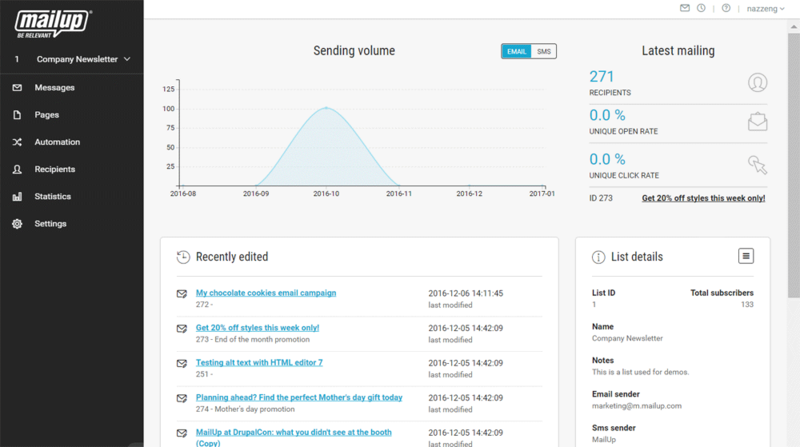 The MailUp email and SMS delivery platform combines email marketing and automation tools with an SMTP relay for transactional emails and plugins for e-commerce, CRM, and CMS systems. MailUp is a European email service provider (ESP) and is the most widely used email marketing and SMS platform in Italy with over 9,000 customers worldwide and more than 25 billion emails sent each year. In business for more than 10 years, MailUp (BIT:MAIL) is listed on the AIM Italia stock exchange and is headquartered in Milan, Italy with additional offices in Cremona, Italy and San Francisco, CA in the U.S.
After the IPO, MailUp embarked a path of growth by launching a new line of business (beefree.io) and acquiring established and emerging companies: Acumbamail (Spanish and Latam market), Globase (Nordics market) and Agile Telecom (wholesale SMS market). MailUp is a member of the Certified Senders Alliance. 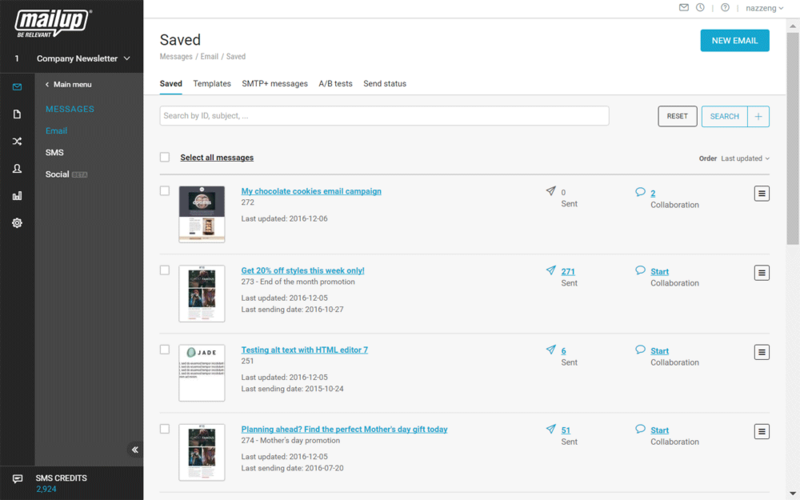 Are you looking for an MailUp alternative for your email marketing? We listed some MailUp alternatives. BEE email editor: the drag & drop editor integrated in the MailUp platform to create impactful email and newsletters. All the campaigns created with BEE are responsive, fully optimized for displays on smartphones and tablets. 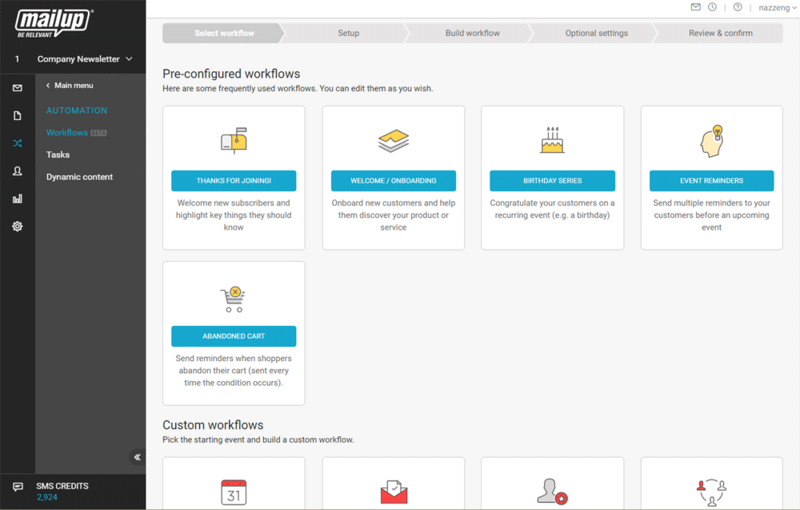 Marketing automation tools: MailUp provides advanced features to send personalized campaigns automatically: MailUp workflows allow companies to set up an automated and personalized email series based on the recipients' activities, with simple drag & drop operations. Statistical reports: Statistics to analyze the data and plan future strategies. Advanced reporting to see all the results of the emails, updated instantly and sorted according to different criteria: reports per recipient, per message, per device and geographical reports. 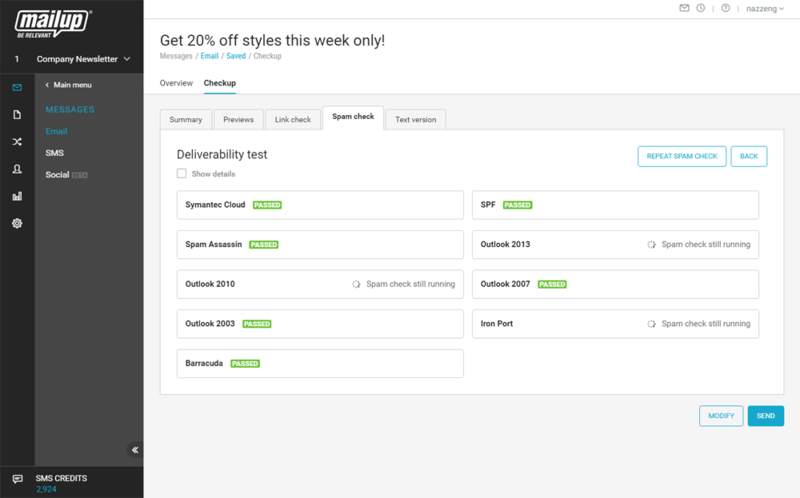 Landing page editor for email and SMS: A drag & drop tool to create landing pages optimized for mobile in just a few steps. Each design element can be refined: from their background to the call to action. 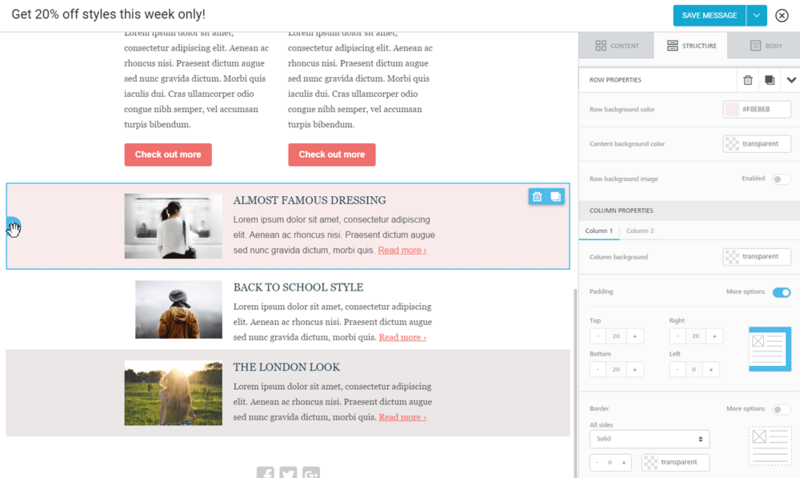 The editor also lets marketers shorten the landing page's URL and track all clicks.